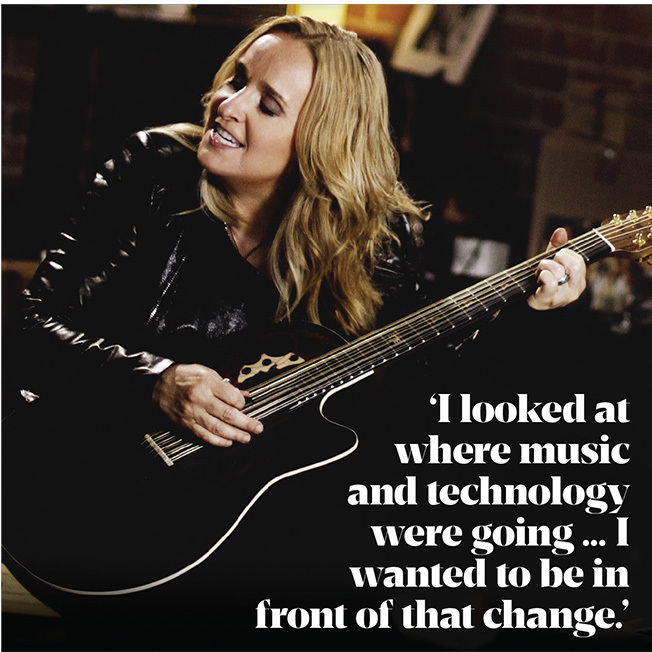 With almost 30 years of constant creative output and touring, Melissa Etheridge has come to appreciate what technology and thoughtful marketing can do to amplify her voice and connect her to fans. Adweek's sibling, the Clio Awards, will welcome Etheridge at its annual gala this Wednesday at the American Museum of Natural History in New York, where she will be introduced by Clio Music juror Jennifer Breithaupt, svp, global head of entertainment marketing of Citi. Etheridge will then introduce live performances by X Ambassadors and Salt-N-Pepa, both on Clio and Billboard's Top Commercials Chart (powered by Shazam). X Ambassadors will perform "Renegades" from the Jeep Renegade "Band" spot—ranked No. 1 on the Collaborative Debut Chart (which follows a yet-to-be released song or track commissioned specifically for an ad whose debut helped propel the song to prominence). Salt-N-Pepa will perform "Push It" from Geico's "Push It: It's What You Do" spot, which tops the Classic Chart (tracking commercial usage of older songs that re-engaged and connected with a former audience while exposing the track to a new audience). Adweek caught up with Etheridge in Kitchener, Ontario, last week in the middle of her 50-city "This Is M.E." tour to talk about how technology and marketing are creatively informing her personal brand and musical craft. Adweek: How has your thinking on the relationship between music and marketing evolved? 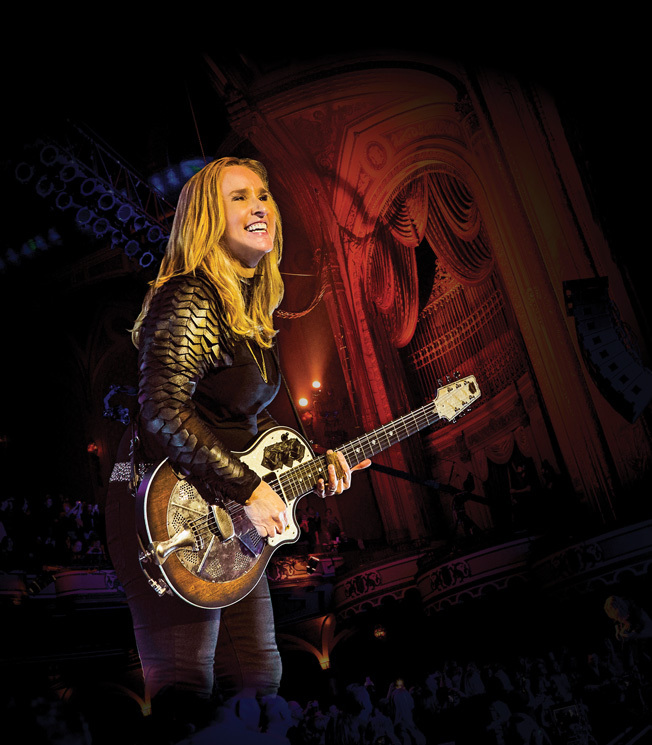 Melissa Etheridge: Man, in the '80s and early '90s, it was us and them, and if you talked to them, you were selling out. The only one that was worth doing was Pepsi—if you were Michael Jackson or Madonna. There was the cola thing and nothing else. Neil Young wrote a song about it, "This Note's for You," which summed up the notion at the time of selling out to corporate America. Then our world completely changed with the Internet and marketing became much more sophisticated and very personalized—so much so that here we are three decades later and it's a vehicle and it's something you want and want to put thought into. I welcome it and embrace partners who are interested in partnering on creative work. The stigma is completely gone now, so there is a big part of my management that's focused on marketing efforts. How has technology changed you as an artist? It has enabled me to not be on a major label anymore. Two years ago I went through a big change of management and looked at where music and technology were going and I wanted to be in front of that change, I didn't want to be dragged by it. So I created my own independent label that works with individual digital producers to make records rather than the more traditional corporate approach where they give you some money and you go away and make a record. But it has changed everything I do. Even on the road, my equipment is getting streamlined and smaller and I'm able to make more sound with less stuff. Thoughts on social media? A way to amplify your music and brand or a distraction? Depends on who you're talking to. For my businesspeople it's an awesome tool to connect with fans and get my music out there. But for my family it's a distraction. Before social media, the only feedback on my live shows came from one reviewer three days later and sometimes you wonder if they were at the same show. Now I get instant feedback from my fans, and I can reach back out just as fast. The two-way communication is an astounding way to get feedback. You do have to be careful with it, but it can heighten your brand and reach so many people. Do I spend too much time on it when I'm home? Yeah, I probably do, but I'm interested. Is there an artist that you admire for how they've authentically lent their music to marketing?